Indulge in an afternoon tea on the striking Dorset coast. 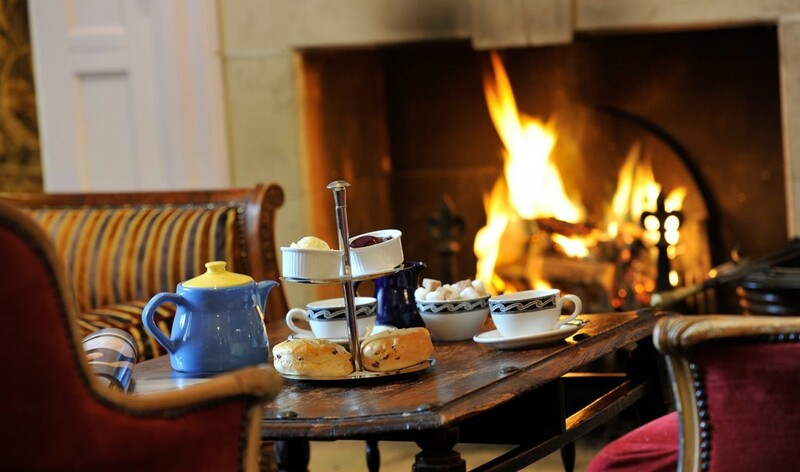 Treat yourself to hot tea, warm scones and fresh clotted cream, all in a tranquil location overlooking Chesil Beach. Afternoon tea at Moonfleet Manor is the perfect way to celebrate a birthday, anniversary or baby shower, or just as a way to relax after exploring the Jurassic Coast. Sample delicious sandwiches, homemade scones and clotted cream from cows that graze the nearby fields. Take a seat in the restaurant or cosy up in one of our lounges. On sunny days, head out onto the terrace and enjoy an afternoon tea looking out over the sweeping sand and shingles of Chesil Beach. Afternoon tea is available each day from 2pm-6pm. Book online at the top of the page, or call us on 01305 786948. A truly indulgent afternoon tea, complete with an assortment of finger sandwiches, homemade cakes, pastries and treats, and a scone with a selection of preserves and clotted cream. Served with your choice of loose-leaf tea or coffee, along with a glass of house Champagne. Our classic afternoon tea, including an assortment of finger sandwiches, homemade cakes, treats and pastries, and a scone served with a selection of preserves and clotted cream, topped off with your choice of loose-leaf tea or coffee. The perfect teatime treat to keep you going till dinner: two delicious homemade scones served with preserves and clotted cream, finished off with your choice of loose-leaf tea or coffee. Jam sandwich, toated pitta bread, cream cheese & chive dip. Sweet selection; cinnamon & sugar doughnuts, macaroon, profiterole. Drink options; hot chocolate, babyccino or milkshake.